Do you want to build an Olaf – Like Snowman? What could be more fun than rolling and stacking big balls of snow in the middle of a brrrr… cold winter day? Well, sitting on your sofa by a fire with a cup of hot cocoa filled with marshmallows, your hook & yarn by your side, building an 8 inch adorable little Olaf – like snowman, of course! Right in warmth & comfort of your own home! This little snowman graced our hearts and homes thanks to Disney’s hit movie Frozen. Elsa & Anna with, a little imagination & a whole lot magic made this adorable creature that, in the end, helped to bring the girls back together through an adventure filled with good vs evil, with the true love between 2 sisters. It is a sweet innocent story that brought all ages together. This pattern of Olaf is a free pattern available for your download. Simply visit us at YarnWars on Facebook to download. While you’re there, feel free to pick up a few more patterns, join in the conversation & share a few of your own free patterns. 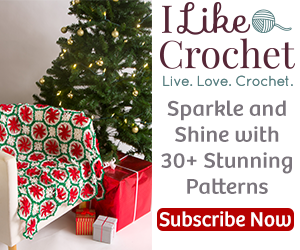 Christmas is around the corner, and what better a gift if you like to crochet, then to make this adorable snowman for your little one, or just, for yourself. Thanks for your interest, please make sure you visit us on Facebook! We would love to see you there!